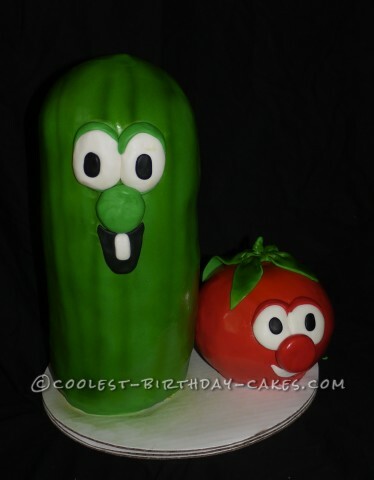 I made this Veggie Tales cake for a very good friends son’s first birthday. Larry stood just a few inches shy of the birthday boys height and was both decorated with fondant and modeling chocolate. Both characters were airbrushed with Avocado green and yellow for shadowing and each were double chocolate cake with ganache frosting. Birthday cake idea posted by Jennifer B.